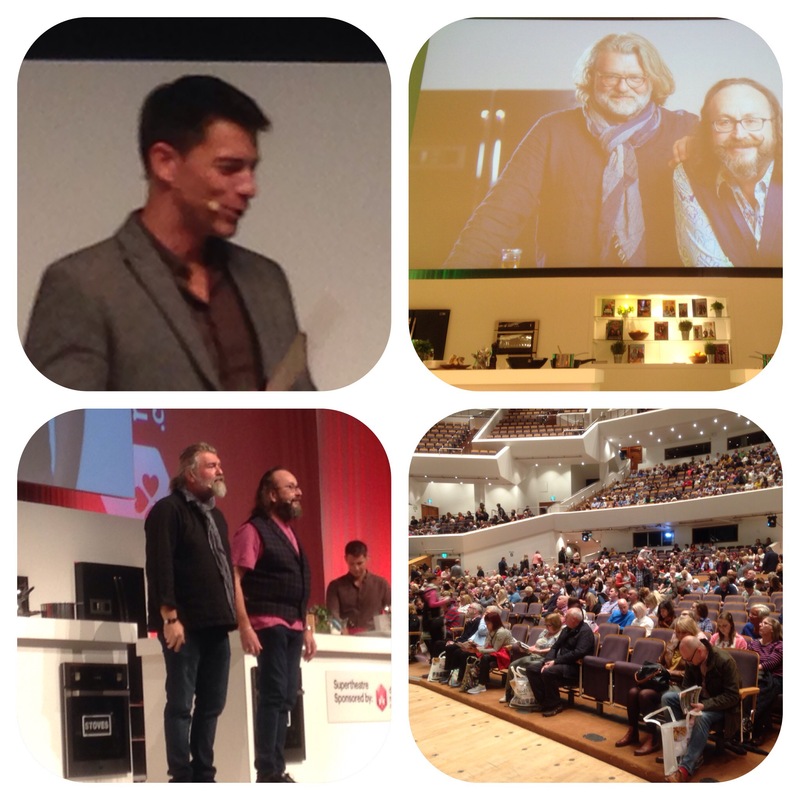 Friday October 14th through Sunday 16th saw the inaugural BBC Good Food Show Belfast debut at the newly extended Waterfront Hall. 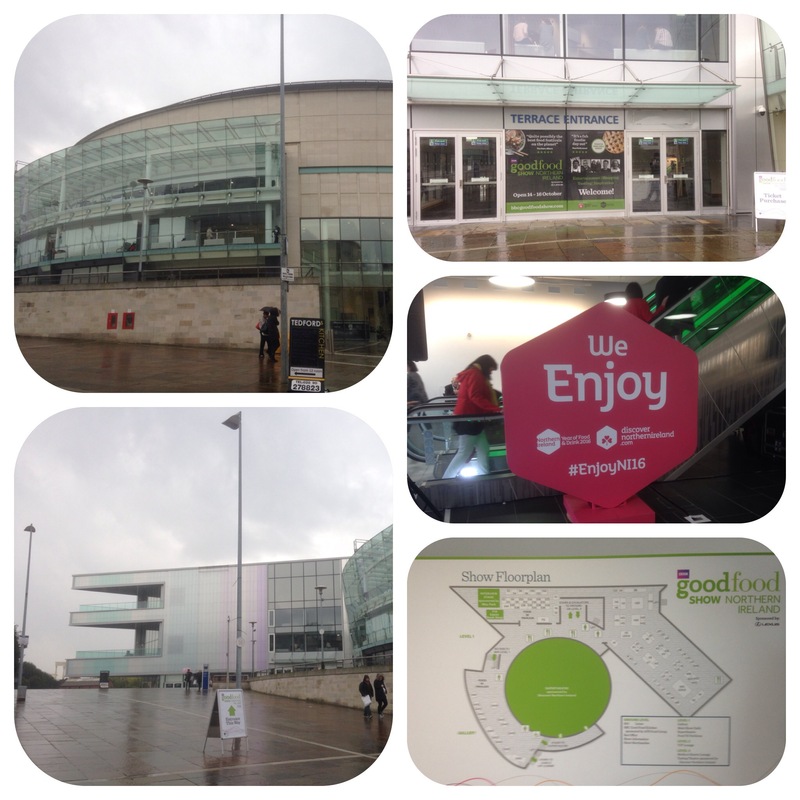 I have been to the old Waterfront many times and more recently to the extended section for a show and must admit it’s a superb venu, however being held over split levels and lack of car parking is a draw back. 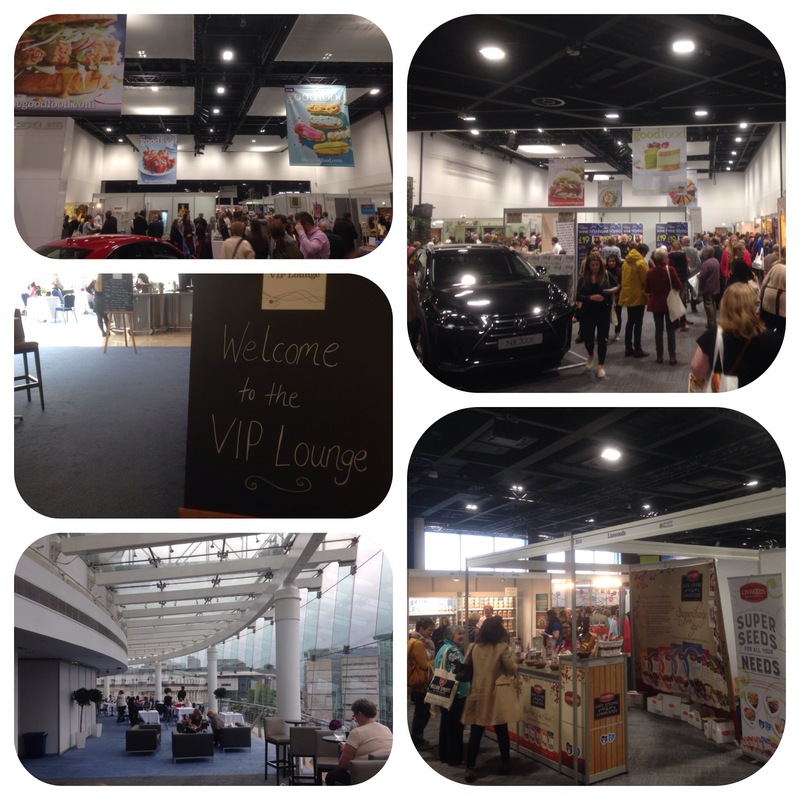 The three day Food extravaganza covered all things Food. 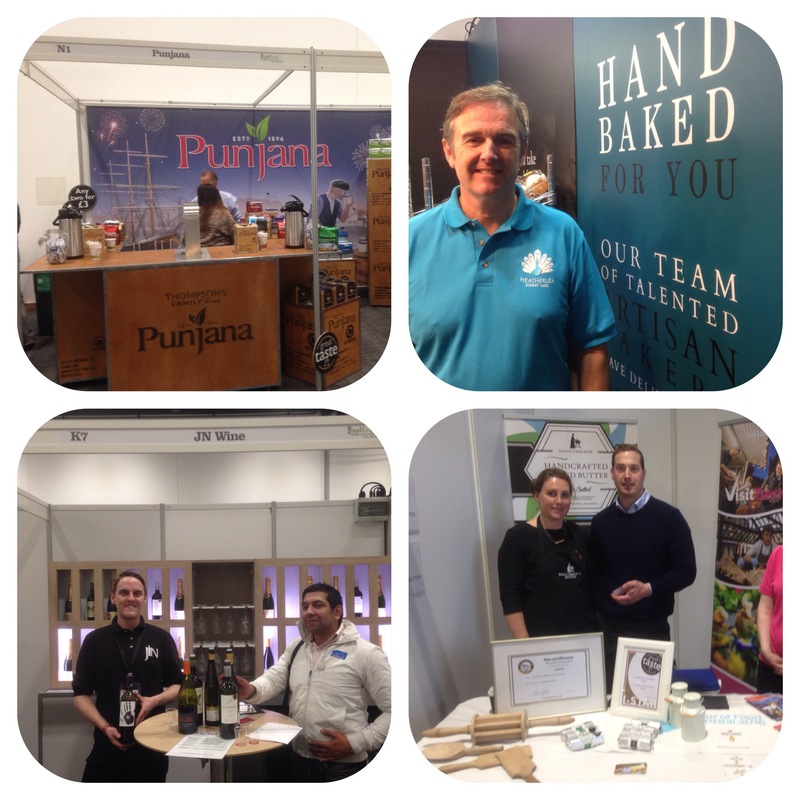 From education to science, from cookery demos to interviews with chefs, from established local producers to new producers, from national to international. 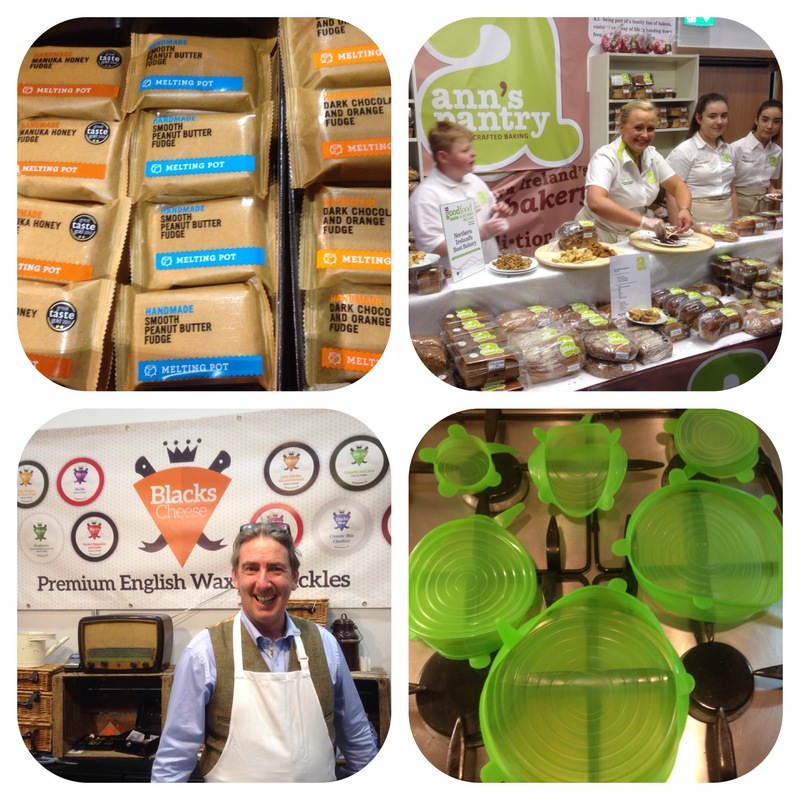 The great thing was that one could taste and try and buy!! 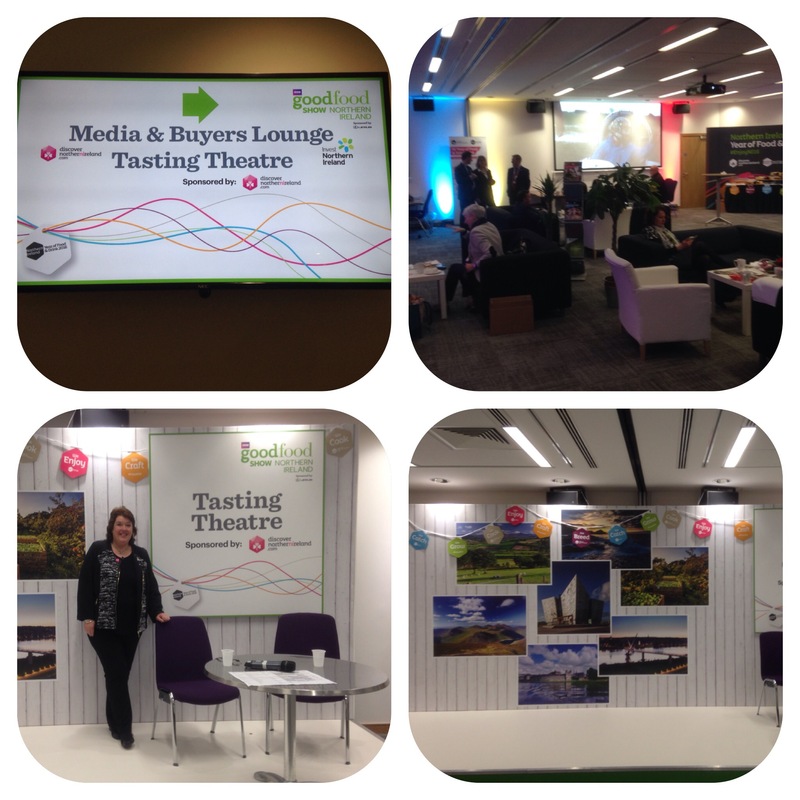 Above shows where media and buyers could just chill and relax and also our very own Paula McIntyre in charge of the Tasting Theatre. 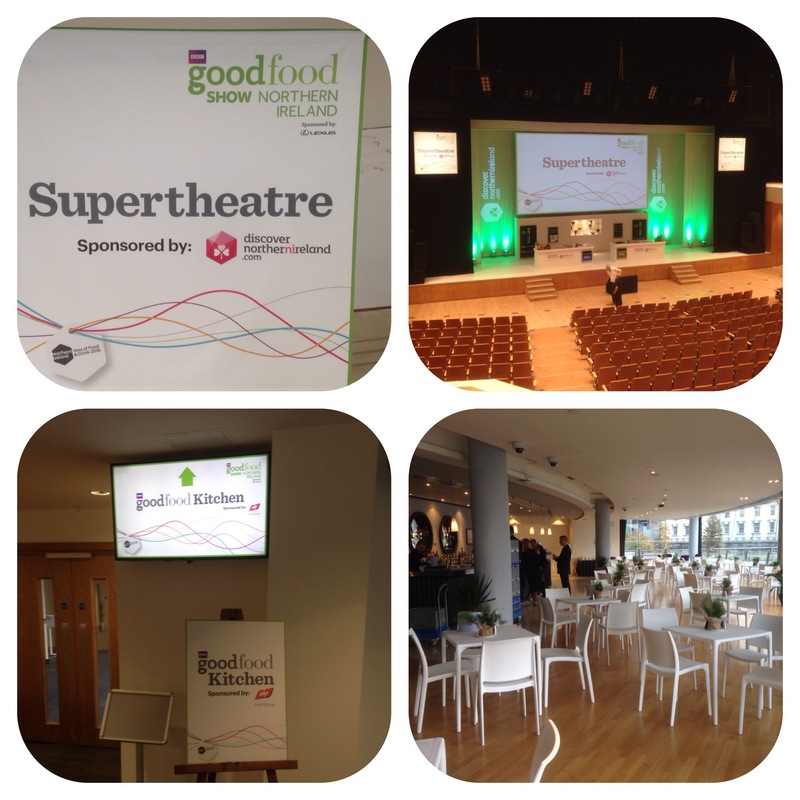 Below is the Super Theatre where I saw The Hairy Bikers, John Torode and James Martin do cookery Demos, more later. Also in the picture is the formal sit down Restaurant. On Friday Paul Hollywood was in the house and signing books and our first Michelin starred chef Paul Rankin gave an interview on the interview stage. 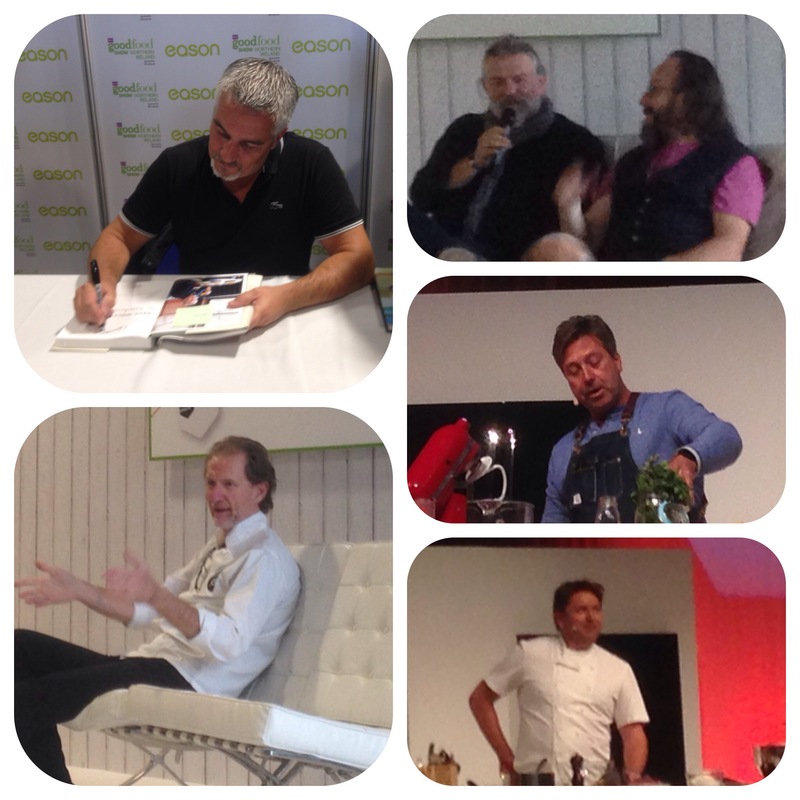 I saw the Hairy Bikers do a cookery demo and they are great Northern lads who I’ve admired for years. The audience also loved them. 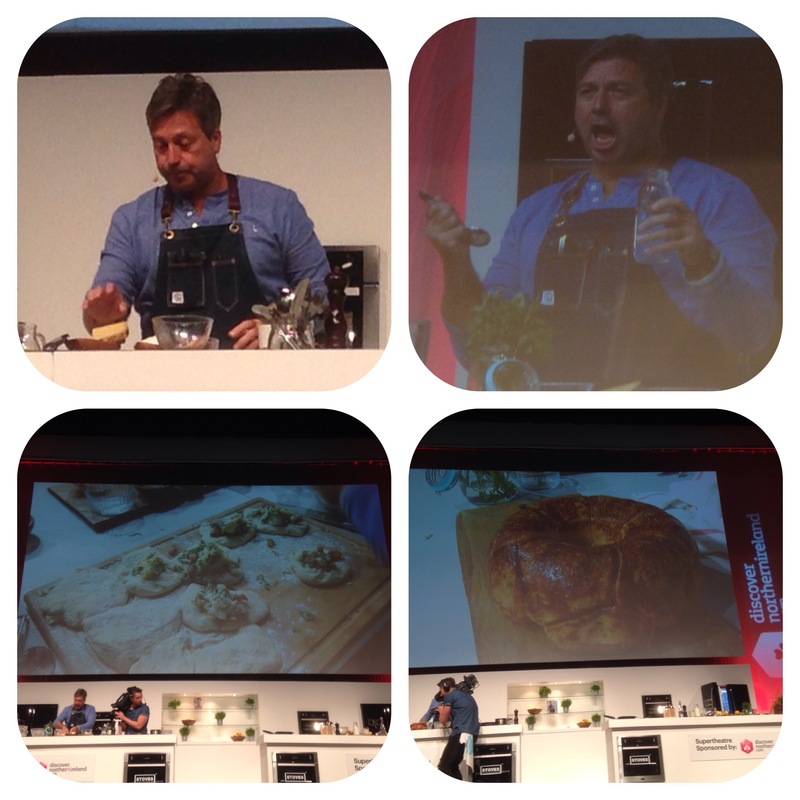 Our Antipodean chef John Torode has been to Belfast a few times before and knows the crowd! 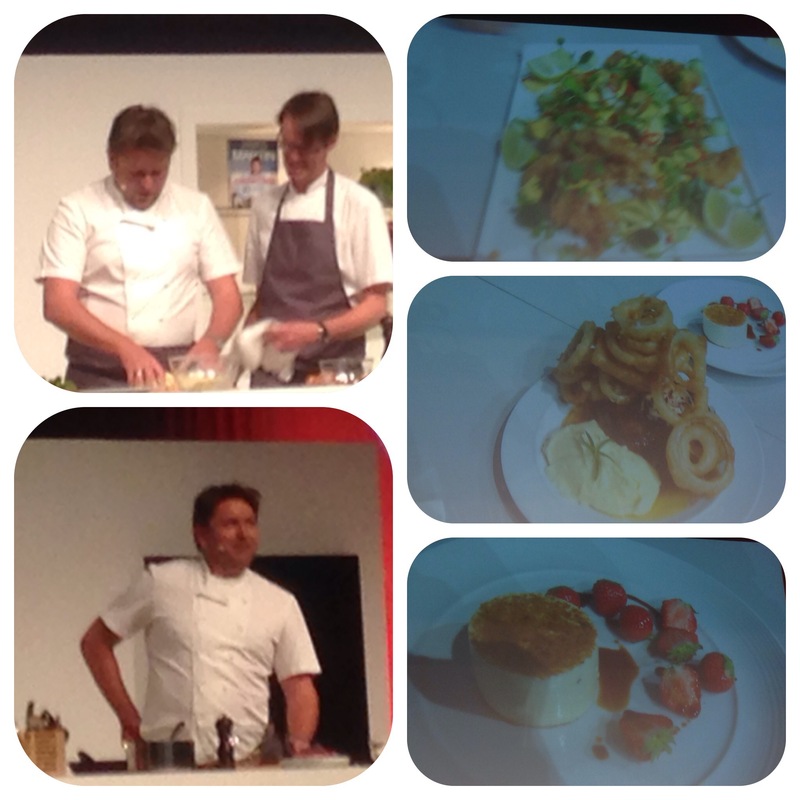 He gave a fantastic demo and especially of note was his pull apart bread as well as his dry humour!! James Martin was able to give us an X rated demo and a heart atack three course meal which I have to admit looked delicious! 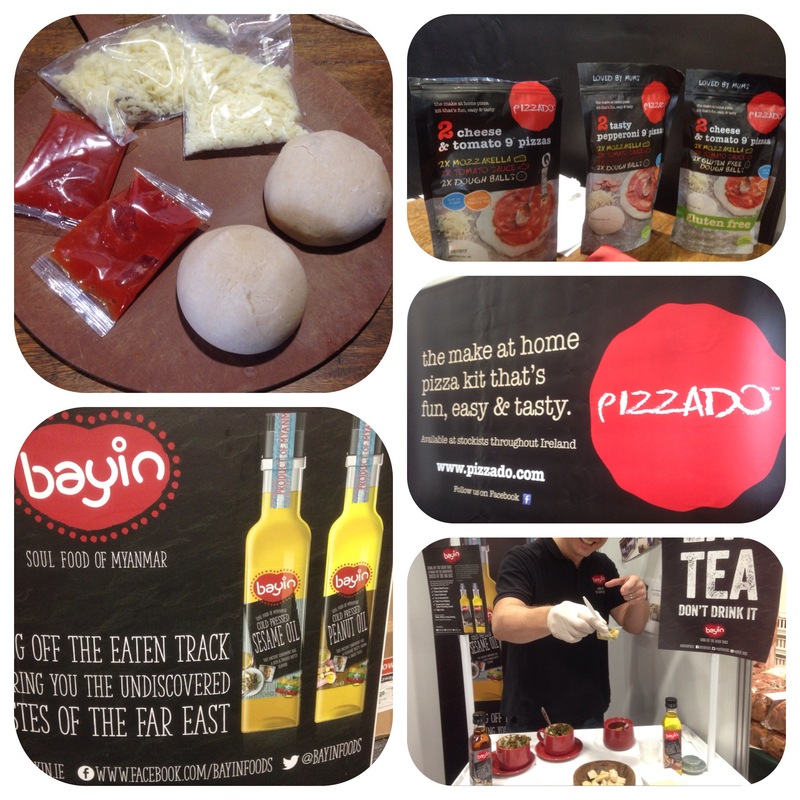 Great pizzado home making pizza kits were on show and a novel use of tea!! 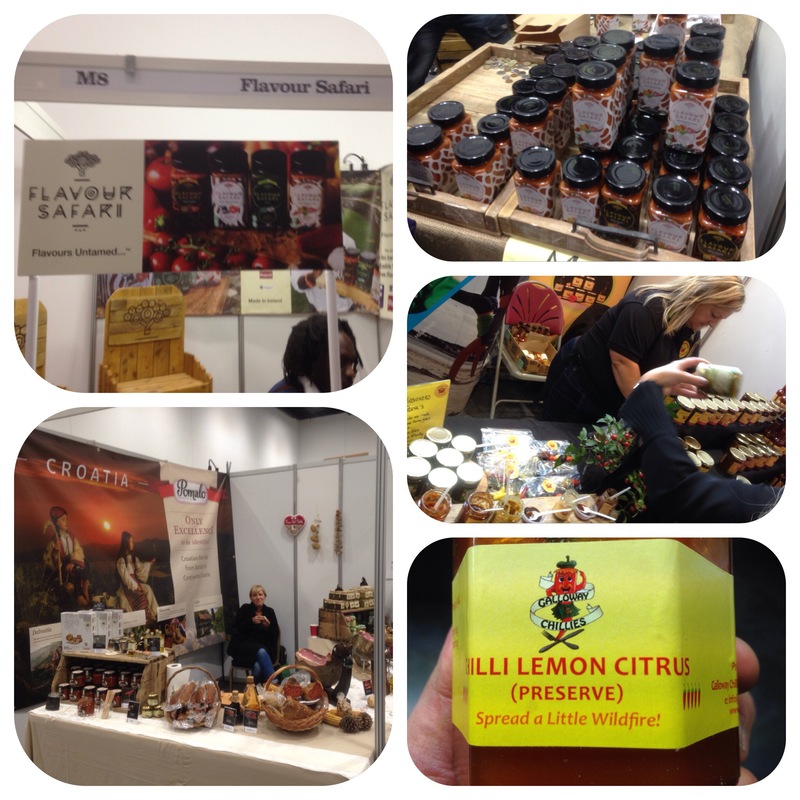 Tasted our Irish equivalent of Levi Roots African sauces, local and Scottish hot sauces and preserves. Igor the Croatian explained how Prosiutto and Prosecco originated in Croatia!! 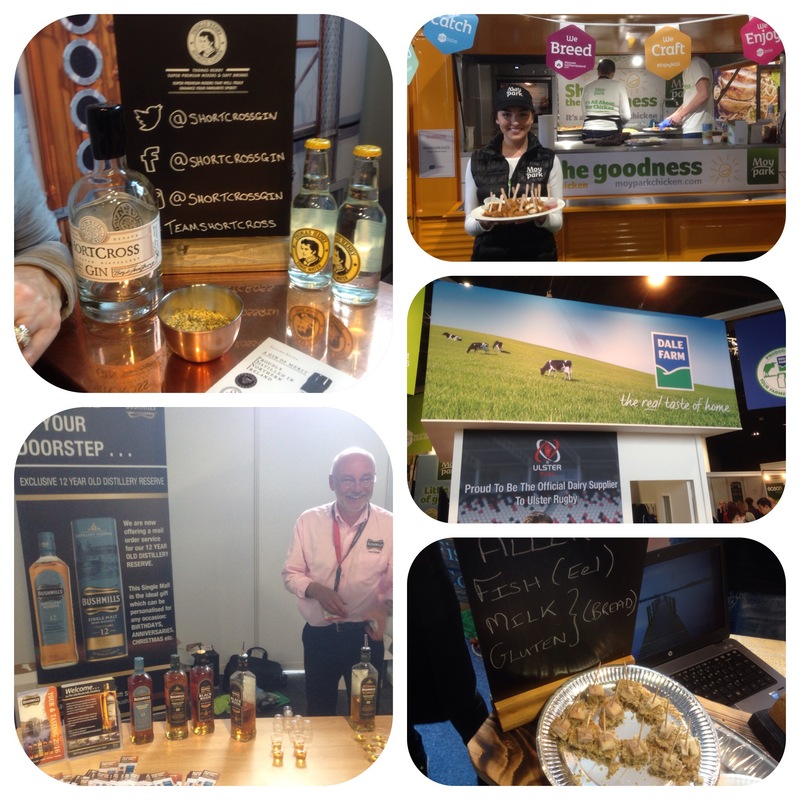 Bushmills, eels, cheese, gin and chicken-wow. 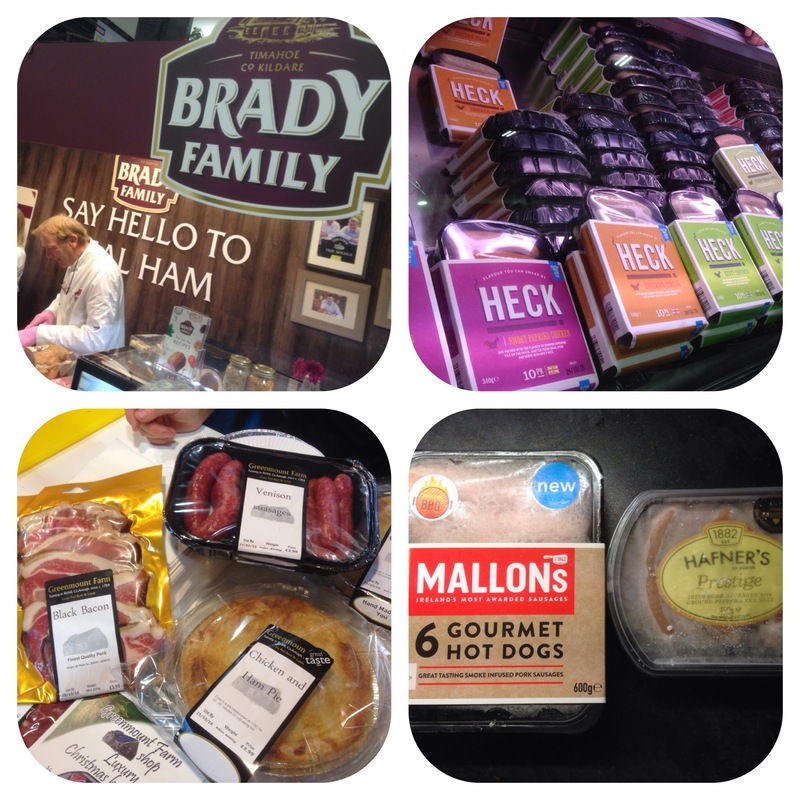 Other local producers like Mash Direct had a strong presence. All in all a great show and they will be back in 2017! !